Hello. Well I'm back as promised with something to share that's a total change from my cardmaking. I don't know about you but as well as all the paraphernalia that comes with making cards I also love stationery, notebooks, pens etc, etc. And, maybe just less than a year or so ago, I discovered the world of planners and planning. Up to then I thought filofaxes and the like were just boring diaries! How wrong could I be? You can use stamps, stickers, washi tape and all sorts of lovelies to decorate. And it's not just about being organised. You can stray into memory keeping using your planner. Print out those pictures that live in your phone and stick them in your planner so a quick and easy way to scrap book too. I have a few planners and I switch about from time to time. As this months Sweet Treat Box from paperpenandplan had a theme of Unicorns and Rainbows I decided to use my Filofax Geometric as the colours matched perfectly. Here are the diary pages in action. The clips, pen and washi tape were all in the box too. And, as the title suggests, you also get a 'sweet treat' in your box. This month a packet of skittles (not in the pics - they are long gone). 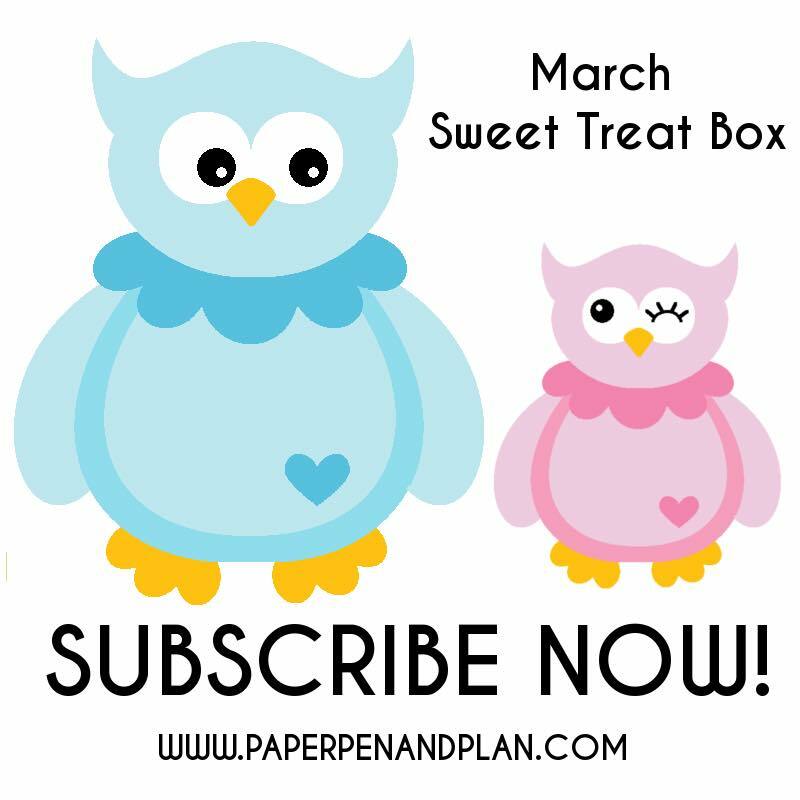 As well as all the goodies in the box subscribers from the March box onwards will have access to printables for your planner - inserts, notepaper and pattern paper - so an endless supply! But there will also be paper copies in your box of the notepaper, inserts, colouring in dashboard, and cut and stick graphics. How cool is that? If you want to see the contents of the entire February box I made a little unboxing video here. I also did an 'after' video and that one is here. 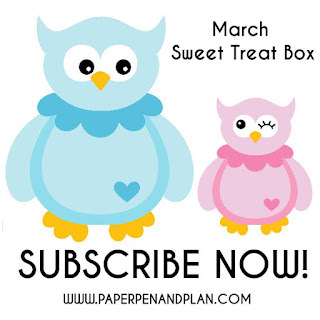 There is a great facebook group for fans of paperpenandplan (or if you just love to lurk and look at all the pretties that's fine too) and you can join that here. Here is a not so subtle hint at the theme of the March box - cant wait! If you want to find out more about how the boxes work, order a one off box or subscribe to a monthly box then you want to click over to the shop here. The girls at paperpenandplan also sell loads of cute planner bits and bobs over at their Etsy store here. And guess what? I have a code for 10% off your order. Simply enter LIZ10 - happy shopping!